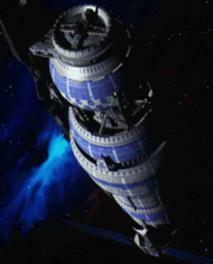 Welcome to the Babylon 5 History Page! Why was Babylon 5 the best science fiction television show ever? Was it the fact that the writers took science seriously? Was it the fact that the writers took their audience seriously? Or was it just that for the first and only time in televison history, someone outlined an entire epic-length story and then attempted to tell the whole story, piece by piece, over the course of several years? This page contains transcripts and analyses of the various prophecies and visions the characters experienced... analysis and maps of astronomy in the Babylon 5 Galaxy... a list of all human colonies... and more! This compendium of prophecies, written by Larry King, contains all glimpses of the future seen in prophecies and dreams  and in time travel as well. Here you can find transcriptions of Lady Morella's Prophecy, the vision Kosh put into Sheridan's mind, Londo's dream of his own death, the Prophecies of Valen, and many more. Many interpretations which have been suggested on the internet are included, along with whatever "answers" have been seen on Babylon 5 or been revealed by Joe Straczynski. This document is structured so that you can avoid reading any "spoilers" for episodes you've missed. Is the Babylon Station in the Epsilon Eridani system? Where is the Centauri homeworld? What is the "Rim"? Here you will find an actual map of our galaxy with all the stars mentioned in B5 pinpointed  as well as all the maps which appeared in the show itself. With a complete analysis of what's been said about astronomy in Babylon 5. This is a complete list of all human colonies mentioned in Babylon 5 and Crusade, along with their histories, their place in recent political developments, and how they fit into the human Civil War. From Orion VII to Beta Durani to New California, here you'll find the most comprehensive list of human planets on the web or in print. Updated to include Legend of the Rangers. Transcripts of a few speeches from Babylon 5, including the opening and closing monologues for each season. 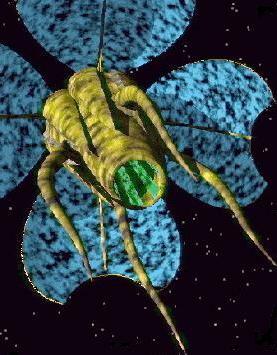 Here are links to a number of other Babylon 5 websites. Parts of this site have been translated into Hebrew, Russian, and German! Yes, I know, it's hard to believe. For details, see the Links page. The original Babylon 5 series ran for five seasons. The fifth season was something of an add-on. There was also a spinoff show called Crusade. If you are curious, I strongly suggest you watch Babylon 5 seasons one, two, three, and four! They form one complete connected story. Babylon 5 is being released on DVD, but only one season at a time. The first three seasons are now available. You can get them at Amazon.com for about $75 each, and shipping is free. Of course if you search the web you can find even better bargains than this. If you live in the United States and have cable TV, you can see Babylon 5 on the Sci-Fi Channel, at 9:00 AM every day. (If you live in Mountain or Central time, check local listings.) The whole cycle will begin again on September 15, 2003, but then for some reason went on hold. The show returns October 27, and is still near the beginning  so here's your chance to join in if you haven't seen it before! The Sci-Fi Channel also repeats the Crusade series from time to time, and also repeats the Babylon 5 movies occasionally. Although I don't recommend these as highly as the original show, you can find the schedules by visiting the Sci-Fi Channel's schedule page and searching for "babylon" or for "crusade". Sadly, the Sci-Fi channel is not available in Canada. For information about the Canadian schedule, see the Links page. The Babylon 5 History Page is maintained by Larry King of the University of Washington. Updated 9 August 2008. Documents written by I. Marc Carlson or Larry King, as noted. Babylon 5 created and produced by J. Michael Straczynski. Babylon 5, characters, names, images, and all related indicia are trademarks of Babylonian Productions and Time Warner Entertainment Co. Copyright 1994-2002 by Time Warner Entertainment Co. All Rights Reserved.